Are you one of the few who received a version of Bad Unicorn with a fairly substantial misprint? It’s likely less than 20 or so of these versions exist, so if you got to a particular chapter and started scratching your head, let me know. Aladdin will send you a new copy, and you can keep yours as a treasured collector’s item. Just message me what the error is and you’re a winner–lucky you. It wasn't Max Spencer's idea to fight robots, lead an army, or save the world—it just so happens that he's the only living person who can read the most fantastical book ever written: The Codex of Infinite Knowability. The Codex is no ordinary book, and among other things, it describes a unicorn named Princess the Destroyer. Princess the Destroyer is no ordinary unicorn. She loves nothing more than hunting down, killing, and eating other creatures. After all, what's the point of having a sharp horn on your forehead if you don't use it for destructive purposes? And right now Princess has a very definite purpose: Find Max and retrieve the lost Codex for an evil sorcerer and his mysterious master. If she can do that, she's been promised an all-the-humans-you-can-eat buffet in Texas. Stuck in another world and with a carnivorous unicorn on his trail, Max must find the courage to save himself, his friends, and, oh yeah...the entire human race. Dubbed “deviously enjoyable” by Publishers Weekly, the second book in the hilarious Bad Unicorn trilogy features killer unicorns, good dragons, rogue fire kittens, and a boy who just might be a wizard. After defeating a killer unicorn and saving a universe, all Max and his friends want to do is go home. Instead, Max discovers that the Codex of Infinite Knowability has stopped working. He can’t use it to get home until he reboots it. The problem is that in order to reboot the book, he’s going to have to carry it into the heart of Rezormoor Dreadbringer’s Wizard’s Tower. Since Dreadbringer has been hunting Max and the book across time and space, getting in may be easy, but getting out will be another story. Max will just have to find a way to sneak into the tower, avoid the guards, escape Dreadbringer’s clutches, and figure out exactly where inside the tower the Codex was created. No problem…right?! 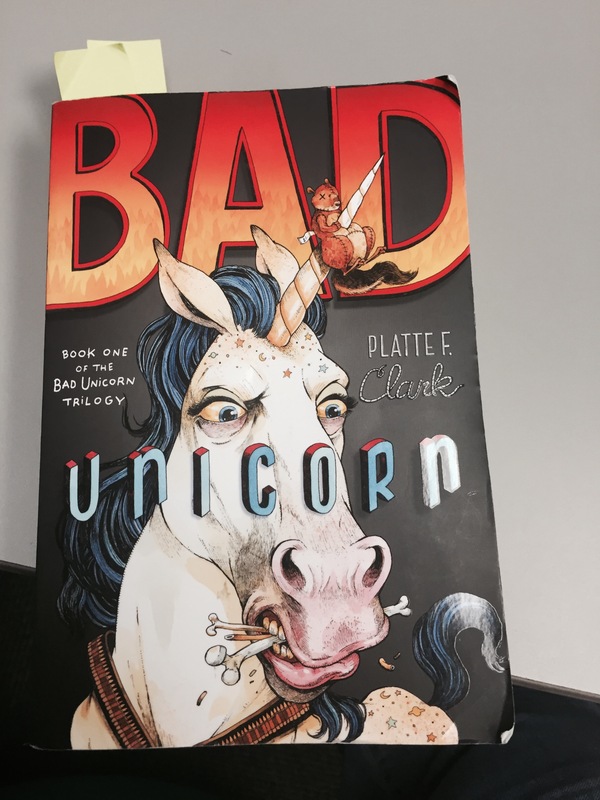 Max is finally home in Madison, but the magical mayhem is just beginning in this conclusion to the hilarious trilogy that started with Bad Unicorn and Fluff Dragon, which Publishers Weekly called "deviously enjoyable." After saving an entire world--three, actually--it's no wonder Max can't seem to get settled back home in Madison, where the most daunting threat is ending up in remedial gym if he can't climb a rope fast enough. Then a new kid named Wayne rescues Max from the school bullies, and a new option for adventure appears. Wayne says he's from the magical world, the Magrus, and that Max is needed there. He can go back and be the wizard of his dreams! But when Max opens a portal between the two worlds, he finds out that things are not what they seem. A powerful storm starts turning the residents of Madison into monsters and Max's friends into characters out of a game. Then Max learns that the Maelshadow, a being of pure evil, plans to use the portal to invade the planet and make it his own. Can Max and his motley crew put a stop to his plans? Or has this spell caster's luck finally run out? Courtney faulkenberry on Collector’s Edition? Kirsten and Jackson on Collector’s Edition? Lucy Anderson on Collector’s Edition?